Congratulations to the 2018 Little Miss Poultry Days Court! Eligibility: Between the ages of 4-6 as of the 14th of June 2019. Contestants on Court in the previous year’s contest will not be eligible to participate. Entry: Entries selected on a first received basis from postmarked entries. No entries will be accepted prior to a March 19, 2019 postmark. Contest is limited to 30 participants. Those unable to participate in next year's contest due to age limit will have preference if more than allotted entries are received on same day. Contestants will be notified of their acceptance. Attire should represent the poultry theme and/or current year’s theme. 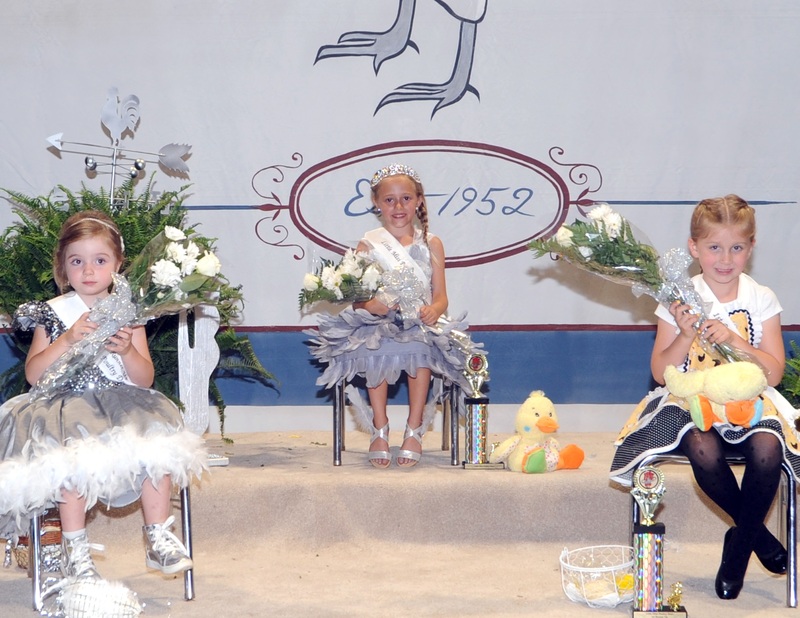 Little Miss Poultry Days 2018 will receive a cash prize of $100.00, 1st Runner- up $75.00 and 2nd Runner-up $50.00. Each participant will receive a flower, trophy and the opportunity to ride in Poultry Days parade on Saturday morning at 11:00 a.m. If you have any questions, please contact: Kim Hecht, 937-423-1326. Currently accepting entries. Information above could be changed. Thank you.